Food Sovereignty Ghana (FSG) joins millions of Ghanaians in celebrating the 2018 National Farmers Day. We fully recognize these key stakeholders of our society who are more often than not, overlooked when it comes to policy-making. This distinguished group of Ghanaians who provide a good portion of the food we consume are marginalized and under supported. It is therefore befitting that we as a people dedicate a day to recognize their immense contributions as well as to reward and encourage excellence in the sector through special and more relevant support packages. FSG is however highly concerned that the sustainability factor in our agriculture must be given more attention. All independent research is pointing to the fact that agroecology is the best form of food production in line with the urgent demands to tackle climate change on the planet. It is of prime importance to institute programs that will protect the future integrity of the environment and its rich fauna and flora. The impact of the corporate lobby is increasing and the consequent impact of policy making is geared to providing investors with the greatest possible returns at the cost of farmers rights and the integrity of the environment cannot continue without serious interventions. On such a momentous occasion we call on the government of Ghana to pay great attention to the real issues that affect our capacity to grow our agricultural sector. The fact remains that four key areas that should be the priority of policy makers to tackle rather have been sidelined while desperate attempts are being made to adopt genetically modified organisms (GMO) technology instead. These are ensuring access for farmers to credit facilities, building roads from the farm gates to market centers, providing irrigation technology to compliment rainfall and the provision of infrastructure like warehouses to minimize post-harvest losses. Without tackling these basic problems, Ghana’s policy making in favour of GMO technology must be seen as solving the problems of the corporations behind the powerful GMO lobby rather than the farmers. Two key developments with global impact have occurred since the celebration of the last Farmers Day concerning GMO technology in agriculture and these continue to highlight the sound reasoning behind the position that FSG has always held about this novel technology. Indeed we have always reiterated the fact that scientists globally do not have consensus on the safety of GMO technology. Firstly the vindication by a French High Court of Prof. Eric Seralini’s landmark toxicity study on the effects on lab rats of consuming Monsanto’s GM maize and secondly the $289 million law suit against Monsanto by Mr. Johnson of California who is terminally ill with a form of Lymphoma that was directly caused by his exposure to Glyphosate, which is Monsanto’s flagship ingredient in its deadly cocktails. FSG continues to call for a complete moratorium of GMO in Ghana based on this factual evidence available. What would be Ghana’s interest in replacing its conventional agricultural practices to dabble in an area that is already clearly full of controversy? Critical attention must be paid to the sustainability factor in implementing the proposed “Planting for food for jobs” program. Any program to achieve the sort of targets identified will require much attention to detail in ensuring that factors such as soil fertility, climate change, equitable access to land, information and inclusion in policy-making are addressed. As the most important stakeholders in the food production value chain, peasant farmers deserve to be respected and have their rights protected to ensure they continue to play the invaluable role that they have played for millennia. Farmers’ Rights include the ability to save, use, exchange and sell farm-saved seeds and these are under heavy threat from the proposed Plant Breeders’ Bill. FSG is encouraged by the fact that during our last encounter a few months ago with the Parliamentary select committee on Environment the Chairperson, the late MP Hon. Emmanuel Agyarko, conceded that there remained some work to be done on improving the proposed bill in the interest of Ghanaians. We must warn the government and Parliament to be aware of the interests behind the massive lobbying activities of the transnational corporations to ensure that profit-inspired policy is implemented contrary to their primary duty to seek the collective welfare of Ghanaians. FSG is encouraged that logic will prevail in terms of Ghana and her agricultural policy-making in the area of biotechnology. Recent positive developments in Uganda regarding amendments made to the proposed Biotechnology Bill were inspired by non-other than Uganda’s most senior stakeholder, His Excellency President Yoweri Museveni. There were long-standing concerns from civil society with the contents of the law and the manner in which it was being developed to introduce GMOs in the Ugandan agricultural sector. These were compromising the rights of small holder farmers who are majority of those in the agriculture sector. Right Food, Right to a clean Environment, sustainable development, sustainable diets and biodiversity of crop, animal, fisheries and insects and the growing economic market potential of organic products in the Global market. These concerns were reiterated by the President in his letter to the speaker dated December 21, 2017 emphasizing “naming of the Law- Bio Safety Act while it actually talks about Genetically Modified Organisms. 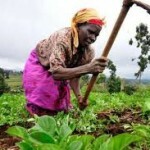 The Rights of Ugandan farmers that have for generation after generation have developed, managed, conserved and preserved the country’s genetic resources of crops, animals, herbs, insects and fish, total contamination of the farming system due to unregulated random introduction of GMOs all over, protection of the organic materials, use of poisons and dangerous bacteria as inputs in genetic engineering,” protection of indigenous varieties and breeds, protection of consumers, the competent authority to oversee the provisions of the Law and labelling. FSG wishes to remind Ghanaians that the same issues dealt with in a progressive manner in Uganda also affect Ghanaian farmers and therefore requires the same sort of attention and intervention by our most senior stakeholders. The concerns presented by President Museveni are global concerns about genetic engineering that is why the Cartagena Protocol emphasizes the precautionary principle. The critical clauses in the Genetic Engineering Regulatory Act include a Liability and Redress Mechanism. Previously, the liability and redress system was vaguely defined to give protection to GMO developers promoting their technologies and thereby ignoring the rights of farmers. Secondly the principle of strict liability states that whoever introduces a GMO shall be legally responsible for any damage caused as a result of the product or a process of developing it. This clause is very essential as it is of such clauses that operationalize the precautionary principle which is a key tenet of the Cartagena Protocol to which Uganda and Ghana are signatories. Most crucially this clause will ensure that our knowledge, ecosystems, health and nutrition are protected. It also protects the indigenous knowledge systems or technologies of our communities. By renaming The National Bio Safety Act, 2017 and its previous versions of the National Biotechnology and Bio Safety Bill to the Genetic Engineering Regulatory Act, 2018, the essence of the bill has been captured and aptly represents the contents of the bill which is GMOs and its regulation. The progressive principle of benefit sharing has been introduced to protect the rights of the communities since time in millennia who have developed, shared and saved indigenous seed. Africa is facing an onslaught of GMO developers who take indigenous seed and patent them without recognizing the rights of farmers. Therefore this provision protects the right to fair and equitable sharing of benefits arising from the use of genetic resources through a benefit sharing agreement. In the area of labelling, a comprehensive labelling and liability traceability system is key feature of any bio safety law should include relevant traits and characteristics given with sufficient detail to enable traceability. A clause has been introduced in the new law that products should be labelled “contains genetically engineered material.” This will help consumers exercise their right to choose products free from GMOs. FSG has made several calls on the Food & Drugs Authority to ensure a mandatory labelling regime to protect the rights of the Ghanaian consumer to make informed decisions on their food consumption. Another very progressive clause under the new law deals with contamination and co- existence, where a person who cultivates any GMO shall prevent contamination or commingling of GMO crop with any non-genetically modified crop. Secondly any person who keeps or owns genetically modified livestock shall prevent cross breeding between genetically modified and non- genetically modified livestock. Finally there is the “Home of the Competent Authority” and this provision provides for an independent council known as The National Genetic Engineering Council which will be domiciled at the discretion of the President. This is a welcome provision and ensures that the promoters of GMOs are not the same people who will regulate the development of genetic engineering in the country. With under four percent of our arable land under irrigation, it is clear that Ghana has not concentrated on harvesting the low hanging fruits but is rather being encouraged to make policy that rather protects corporate interest. We call on the Ghanaian people to support our farmers and fisher folk by making a conscious effort to eat food that is locally grown. FSG wishes all peasant farmers, fisherfolk and their families a Happy Farmers Day!